Mapuches communities in Santa Rosa Leleque fighting for decades to regain their ancestral lands, under the Benetton's brothers property. In 1991 the Italian company Benetton purchased 970,000 ha of land to Compania de Tierras Sur Argentino S.A., then the biggest landowner in Argentine Patagonia. Much of this land was the ancestral home of the indigenous Mapuche people, yet they were expelled from their traditional home. 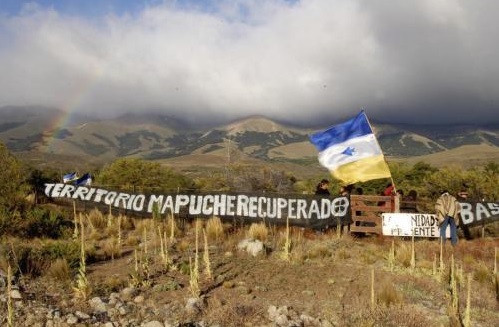 In August 2002, two Mapuches Atilio Curianco and Rosa Nahuelquir occupied, 385 hectares of land in Santa Rosa - Leleque, Patagonia that had been sold to the company. This led to a media campaign and Argentine Nobel Peace Prize winner Adolfo Perez Esquivel also supported the Mapuches claim. 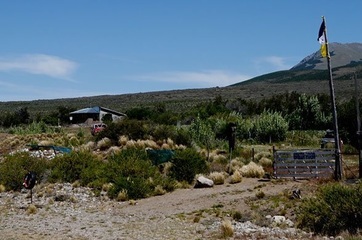 The company offered the community 7,500 ha of land in the Chubut province instead but the community and Province government have refused, stating the land is not productive. In 2007 a group of Mapuche re-occcupied Santa Rosa. As the conflict had not been resolved, the occupation persisted. In late 2014, the Chubut Government recognized to the Mapuche people the use and the ownership of 625 ha in Santa Rosa, under the framing of the the law 26.160. In March 2015, 30 young Mapuches started to live 13 kilometers away from Santa Rosa-Leleque, on what is also Benetton’s land by law. Their press release denounces the extreme living conditions they have to cope with and it reminds that accepting entering into the extractivist model the Patagonia has been led to, means for them to become a cheap and exploited labor force. The police tried unsuccessfully to dislodge them and Benetton pursues a criminal complaint and charges are pursued against five individuals. The case is still ongoing. This case is one among so many in Argentina where indigenous communities stand up for their rights of their ancestral lands. Project Details Benetton used this land to keep 260,000 animals, including sheep, goats and rams, which produce 1 million 300 thousand kilograms of wool every year, for export to Europe, and 16,000 cattle destined for the slaughterhouse. They also use the land for forestry. Development of Alternatives Returning the complete area to the Mapuche. Why? Explain briefly. In 2004 a judge in the town of Esquel ruled in favour of the company in the dispute over the ownership of some 500 hectares of pampa in the Patagonia region. 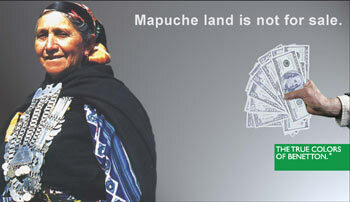 In 2010 the litigation between the Mapuche community and the company Benetton continues. In Search of Their Roots: The Mapuche and Modern Society, Safiullina, A., The Argentina Independent, 29 April 2013.